Hypertension, more commonly known as high blood pressure, affects about 1 in 3 people in the U.S. The reason that it is often described as the “silent killer” is that most people aren’t aware that they have high blood pressure until it’s too late. After all, hypertension, left unchecked, leads to severe health issues like heart attacks and stokes. What many people also aren’t aware of is that Traditional Chinese Medicine (TCM) offers you a safe, natural, and pain-free alternative for keeping your blood pressure in check. 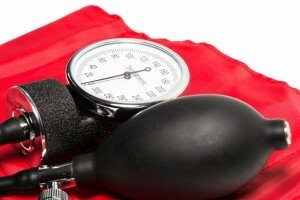 There are a number of risk factors that put you at risk for developing hypertension. Meditate or spend time alone to reduce stress. Acupuncture and TCM have proven effective against a wide variety of health issues, and lowering your blood pressure is one of them. For example, studies have found that a special form of acupuncture called electro-acupuncture, which uses electrical stimulation, may be particularly helpful in lowering blood pressure. Acupuncture treatment is based on the concept of Qi (pronounced “chee”), which is a word used to name the vital energy that flows through pathways in your body along meridians. When your energy pathways are in balance your body is healthy as all systems of your body are being nourished. However, blockages in your energy pathways leads to an imbalance in your body’s many systems, resulting in illness. So the goal of treatment is to identify and then address any energy blockages and imbalances. By identifying and then addressing the root cause of your high blood pressure, TCM can help your body regain its natural balance. In doing so, you’ll also be strengthening your health and reducing the risk of future health conditions.